Sonic Boom: Rise of Lyric kicks off SuperPhillip Central's second-to-last week of 2014. Christmas is this Thursday, so there's no better analogy than Sonic Boom: Rise of Lyric being the game equivalent of coal in your stocking. Here's my review. A Boom or a Bust? When Sonic Boom: Rise of Lyric was announced, I fell victim to the dreaded "Sonic Cycle", showing great enthusiasm for the title's potential. It had a team made up of folks who previously worked at Naughty Dog during the studio's Jak and Daxter days, and the game itself looked like an interesting direction for a spin-off of the series. 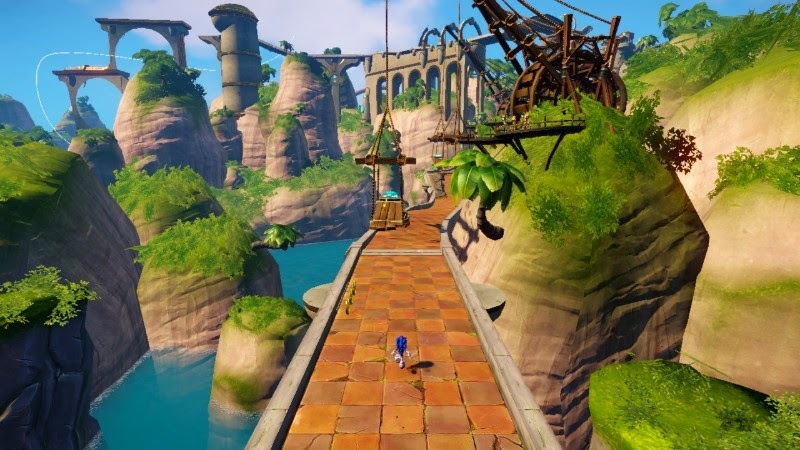 However, a multitude of technical issues and plodding combat make for a game that feels unpolished and unfinished-- a game rushed out to release in tandem with the Cartoon Network CG Sonic Boom series. 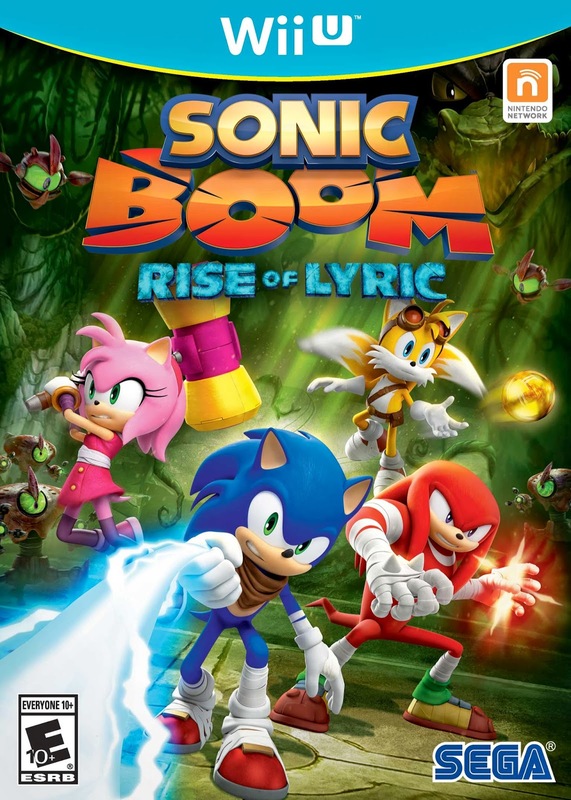 Rise of Lyric feels less like a traditional Sonic game and more like a descendant of PlayStation 2 era 3D platformers, a time where that genre received more than enough competitors. The biggest issue here is that Sonic and friends seem shoehorned into this game, as Rise of Lyric is less about speed and more about slow, methodical platforming, combat, and exploration. but it's hardly what I'd call dreadful. This is no more as apparent as in the two hub areas of the game. One is a canyon area while the other is a tropical island with its own town in the center. These have collectibles to find as well as NPCs to assist with tasks like reuniting a hippo pirate with his brother and building defense towers to protect the island. You quickly notice that speed is not a major player in this game, particularly in these expansive areas. 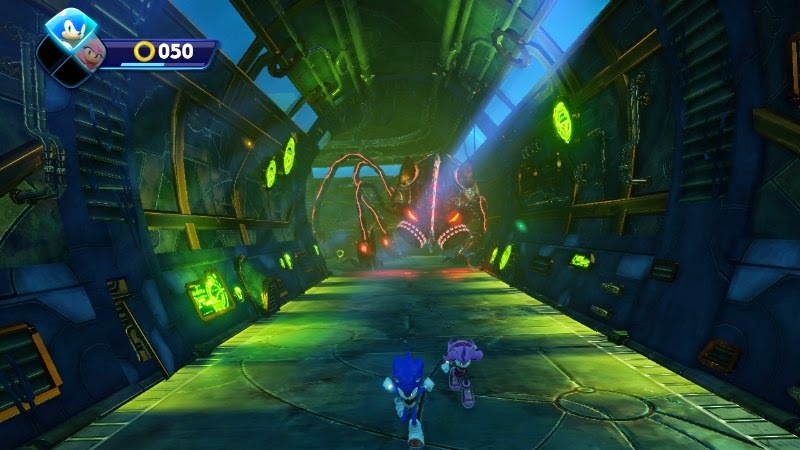 Even at top traveling speed Sonic and his cohorts move way too slowly to make traversing these large hubs interesting. C'mon Team Sonic. It's four against one. 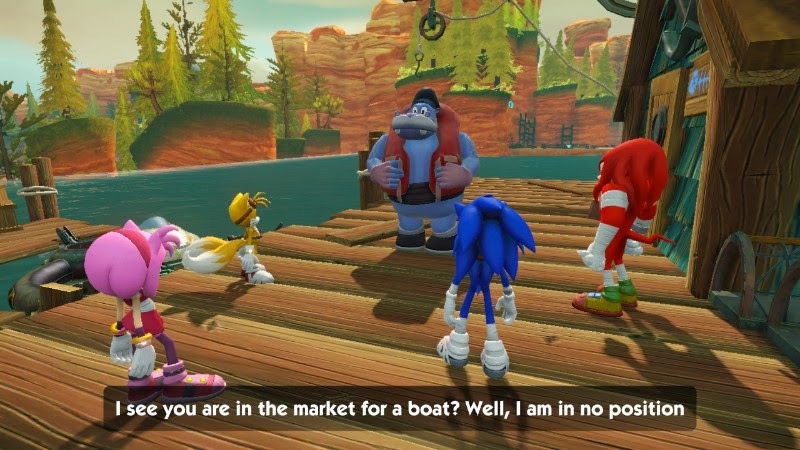 Just TAKE the darn boat from him! In fact, the only major spot where speed comes into play is the various running sections. These occur between Rise of Lyric's hubs and the levels where all the "action" takes place. However, these sections are more automated than anything else, having you speed down linear pathways, bouncing off bounce pad to bounce pad, and requiring very little interaction in general. At least you get plenty of choppy animation and dizzying camera cuts and angles to be entertained by. Despite the game suggesting you sidestep obstacles in your path, you can just plow right through them with a minimal loss of rings. It doesn't help that each time you return to a level you need to replay these disengaging speed segments. these are the speed sections of Rise of Lyric. Outside of these sections, Sonic and friends can display their different abilities, allowing you to switch between characters on the fly via presses of the directional pad to switch to the character you want. Sonic can curl up into a ball, speeding up ramps, and can also use his homing attack on certain objects. Tails can float in the air, slowly descending to the ground, as well as call out miniature robots to attack foes and enter small doorways. Meanwhile, Amy is the most nimble of the crew, allowing her to perform a triple jump to reach high platforms and can also walk on thin beams. 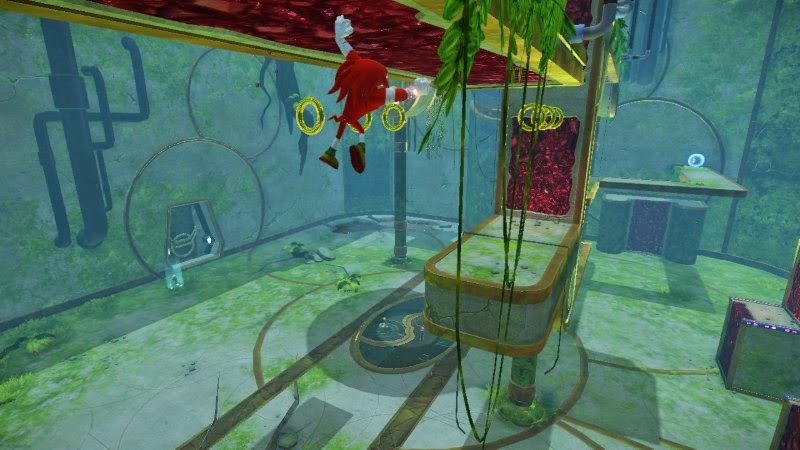 Finally, Knuckles, the brawn of the group, has the ability to climb red, rocky ceilings and walls. There's a fair amount of switching involved as different hurdles present themselves, as characters can only reach certain sections of levels on their own. This adds to the, dare I say, enjoyable exploration of Rise of Lyric. 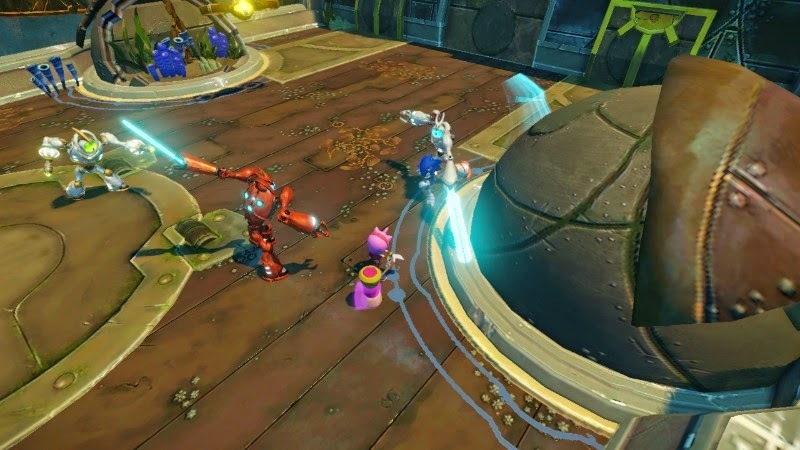 Each hub world and level in the game has a multitude of collectibles to acquire, from special crowns to hidden treasure chests that award robot pieces that can get traded in for new helpful combat boosts. Many of these secret goodies are placed in clever locations around Rise of Lyric's many levels. the art design is top notch. 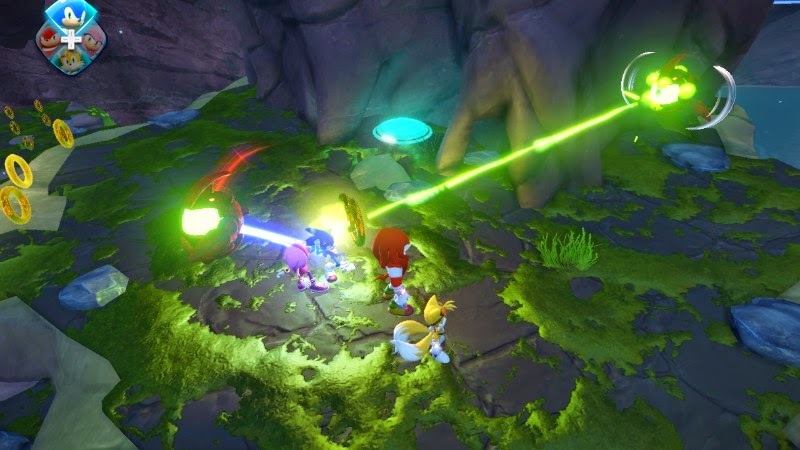 Apart from exploration and adventuring in the game's areas, Sonic and his team don't distinguish themselves enough when it comes to combat. Each hero has a simple light attack, a stronger charged attack, an aerial stomp attack, and the ability to grab enemies with a rope made out of energy to throw them around. The latter was my most used means to clear rooms, as enemies take way too long to defeat with physical attacks otherwise. Instead, I would lasso an enemy and toss them off a cliff, instantly destroying them. you know your combat is boring. Combat is incredibly basic, and the worst of it is that it doesn't happen naturally during exploration, as say, how it works in Ratchet & Clank, to use a good example. With Rise of Lyric, combat is instead relegated to closed-off arena-like areas, places I dreaded coming to since the combat is so dull. It's made further dull by the lack of consequence from death. Like every other Sonic game I can think of, if your party loses all of the rings in the pool of rings that they share and then are hit by a foe's advance, you die. However, in Rise of Lyric, death is a majorly minor inconvenience. You simply reappear nearby where you died, and if you were in the middle of a battle, the enemies do not regain any health. Their health is as reduced as it was when you died, making the challenge all but actually challenging. Rise of Lyric's ten hour playtime will allow most players to see the ending of the game, but the amount of collectibles to acquire can make this playtime increase by several more hours. The ability to play with two players-- one using the GamePad and its screen and the other using a TV and controller-- makes for some honest to goodness fun times, although the frame-rate does take a noticeable hit. as they are to look at. Perhaps that's the most damning part of Rise of Lyric-- all of its technical problems. 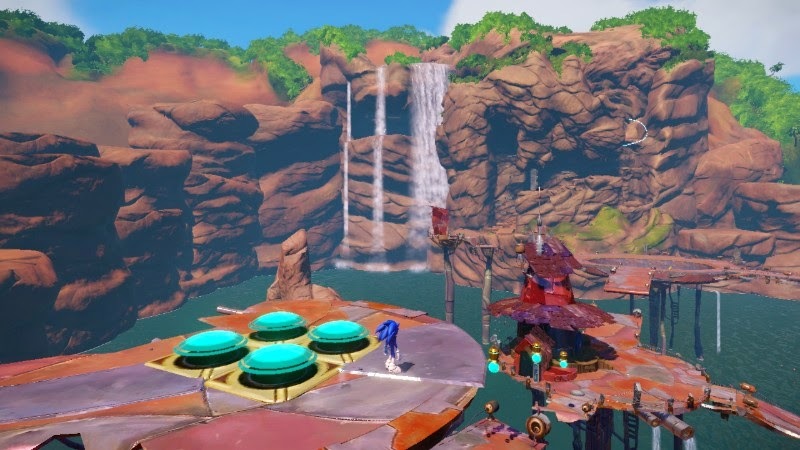 From fairly lengthy load times and a camera you occasionally have to battle with, to rough and uneven animations that run rampant, Sonic Boom on Wii U's problems don't end there. 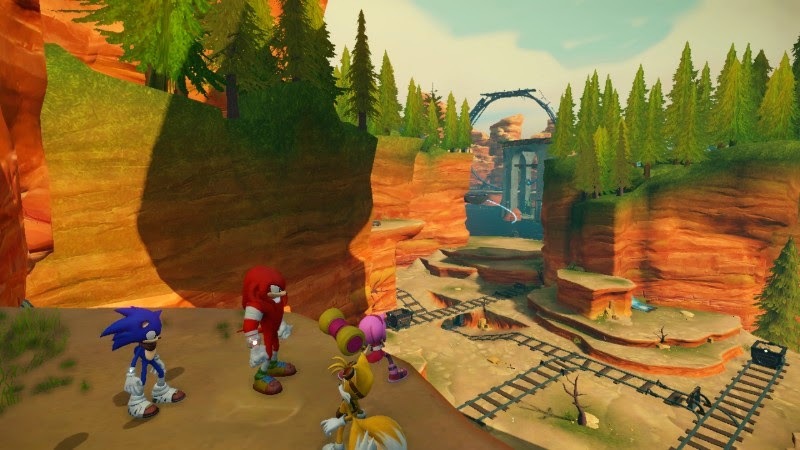 There are times when objects and shadows render right before your very eyes, an unintended jumping glitch with Knuckles where you can skip a decent amount of playtime by leaping over the boundaries of the initial hub world, and poor transitions between areas, where you can clearly see a glimpse of Sonic and the gang loaded at a destination before the cutscene that shows them actually getting there. he was chased by a big rig. The audio doesn't fare much better, and this is due to the cacophony of quips, banter, and one-liners that Sonic, Tails, Amy, and Knuckles utter seemingly every five seconds. The quartet of heroes just won't shut up as you play through the game, and even for a patient person like myself when it comes to things like this, it became annoying quickly, even if there is a wide amount of different lines said. Additionally, the music is greatly forgettable, leaving no impression with me expect a negative one. will sure give you a tan in a jiffy. 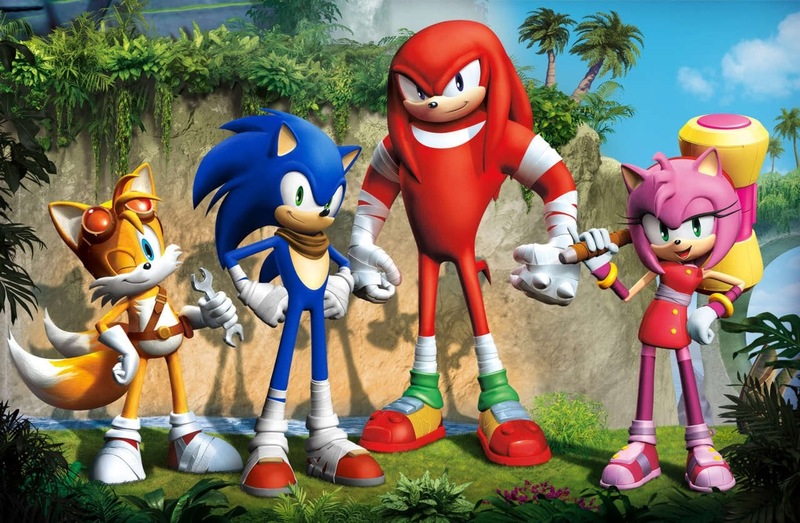 However, even with all of these gameplay and technical flaws, I somehow enjoyed my time with Sonic Boom: Rise of Lyric. 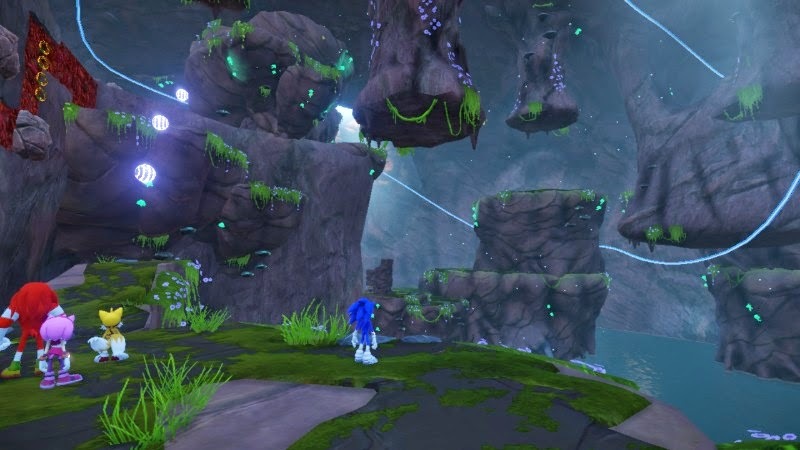 Perhaps part of it was expecting something less akin to Sonic Colors or Generations and something more akin to a PS2 era platformer with its focus on exploration and combat rather than the supersonic speed the series is known for. This is a spin-off after all. Still, Rise of Lyric is full of moments where you can't help but wonder what the game would have turned out like if it received an adequate development time and wasn't rushed out to release to coincide with the CG cartoon. 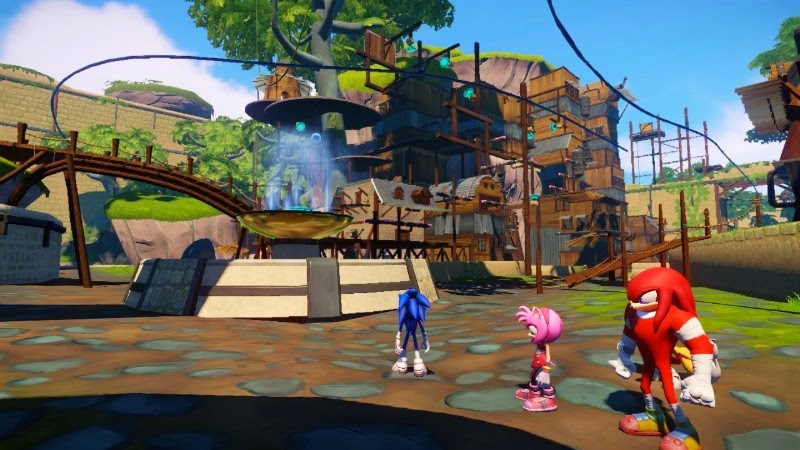 As it stands, Sonic Boom: Rise of Lyric is an unpolished title with plenty of good ideas that are overshadowed by plenty of bad issues, mostly tied to performance and tedious combat.